When you’re young, the idea of strutting down the runway as a model is the epitome of glamour. 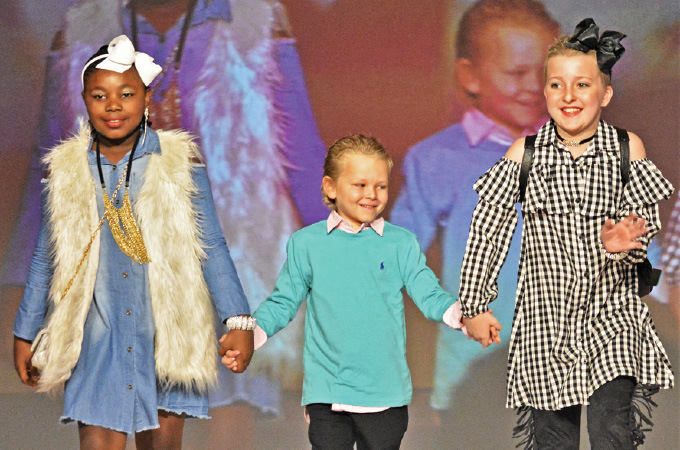 The lights, the audience, the clothing—it’s an experience Friends of Kids with Cancer makes a reality for young cancer patients every year at its Fashion Show & Boutique. As the nonprofit’s signature fundraiser, the event honors its mission to give children and families the support and services they need that medicine alone cannot provide. Friends of Kids with Cancer is focused on helping meet the nonmedical needs of the families it serves, and the fashion show is just one part of this mission. The organization also offers programming to help address educational, emotional and recreational concerns. “It’s incredibly important that these children maintain a positive approach and continue looking toward the future,” Mickelson says. He explains that this means helping kids stay on track in school, cope with overwhelming emotions and not forget to have fun. And the nonprofit is expanding to increase its impact. Mickelson says this year alone, its art therapy program has grown three times as large. The nonprofit also is more than doubling the size of its facilities to offer more onsite services, including new therapy rooms that will best serve both children and adults. It hopes to develop additional sibling support programs and services to help survivors with the long-term effects of cancer and treatment. Friends of Kids with Cancer provides educational, emotional and recreational support for children undergoing treatment for cancer and blood-related diseases. Its annual Fashion Show & Boutique is Nov. 8 at The Ritz-Carlton. 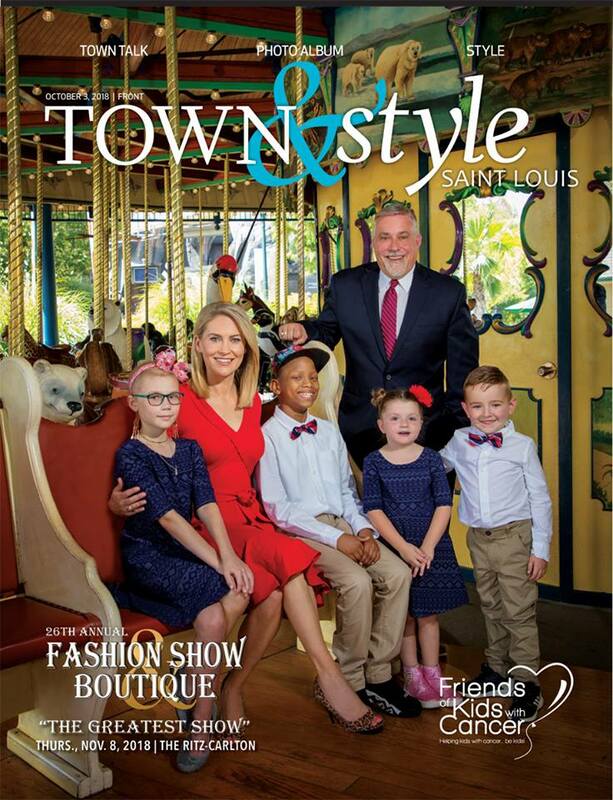 Pictured on the cover: Event emcees Anne Allred and Jim Hayes with Emma, Matthew, Lucy and Johnny. For more information, call 314.275.7440 or visit friendsofkids.org.